If you’re like our family, your pets are as much a part of the family as anyone else. You would do anything for them. We often hear stories on the news about cats or dogs being rescued from a disaster and it touches our hearts. If you’re like us and your pets mean the world to you, it’s important to have their needs taken care of in the event of an emergency. Before disaster strikes, take the time to make a plan that will ensure your pet’s safety. In addition, we also recommend having a pet emergency guide on hand. The guide will provide you with temporary urgent care tips that you can use in case you can’t make it to a veterinarian. 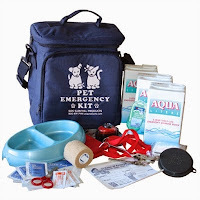 In event of a disaster, remember if it’s not safe for you to stay in your home then it’s not safe for your pets either. Take your pets with you when you evacuate so they will not be exposed to injury or harm. If you’ve been forced to evacuate, keep your pets on leashes or in a crate. Because they’re in an unfamiliar place, they’re a little more on edge and may flee if allowed to roam free. Further, if you’re allowed to return home, inspect the area for other animals since wild animals can be a hazard for your pets. Also, you may have to keep them in the crate until you’re able to secure the house as floods, fire or other disasters may have caused damage to the home. Unfortunately, disasters can strike at any time and as such, there are times when you can’t make it back to your home to retrieve your pets. In these instances, it’s important to have a backup plan in place. Seek out a neighbor who you trust to care for your pets. Provide the neighbor with a key to your home and let him or her know where the pet food is. 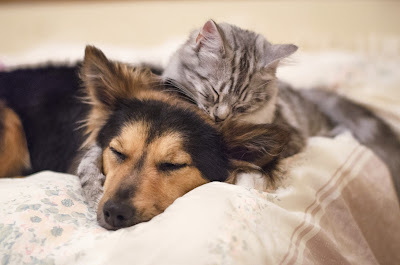 It’s also a good idea to go over the pets’ habits so that he or she can make things as comfortable for your pets as possible until you return home. Taking the time to make an emergency plan for your family, including your pets, goes a long way in ensuring the safety of everyone if a disaster were to strike. Keep these tips in mind as you create your plan and be sure to stock up on disaster supplies. If you have any questions about what you need for your pets or for yourself, reach out to the experts at SOS Survival Products. We’re here to help!